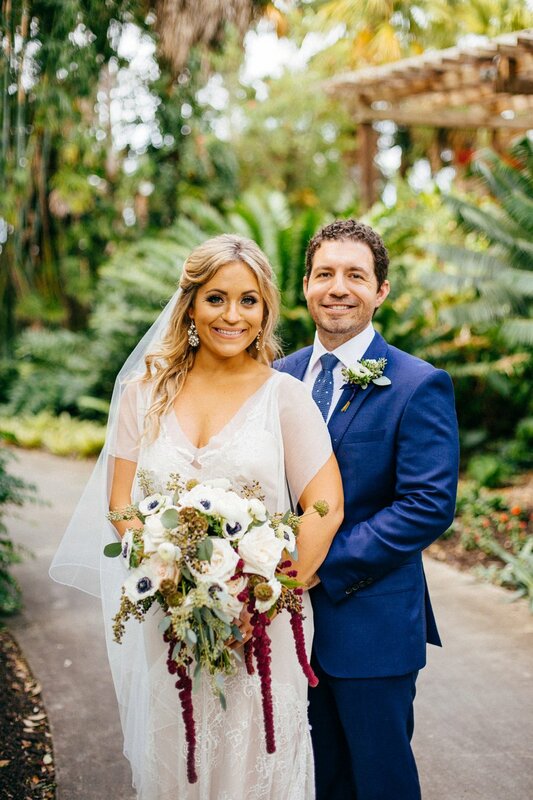 With the bride having roots in Florida, and the groom being Michigan born and raised, this couple fused details from this part of their love story into their beautiful garden wedding day. 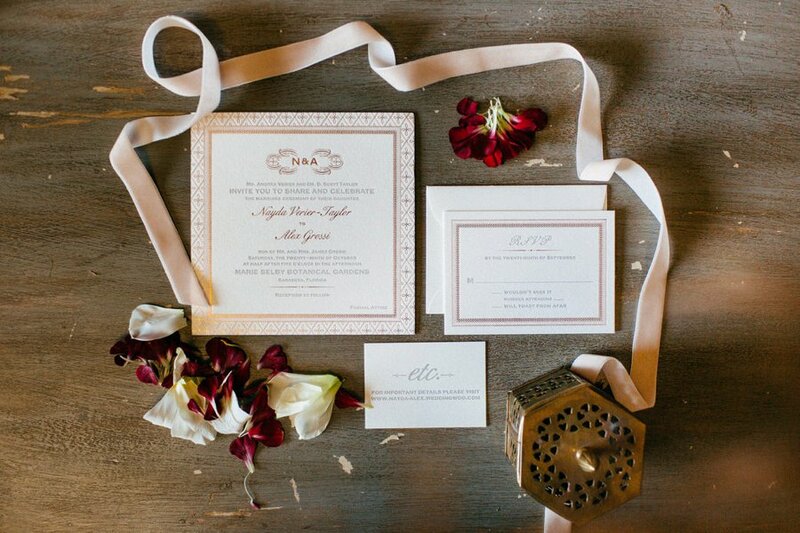 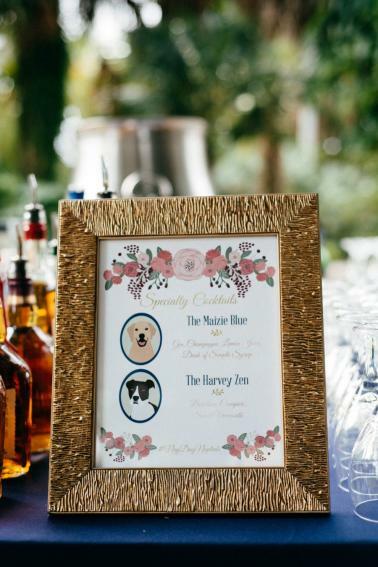 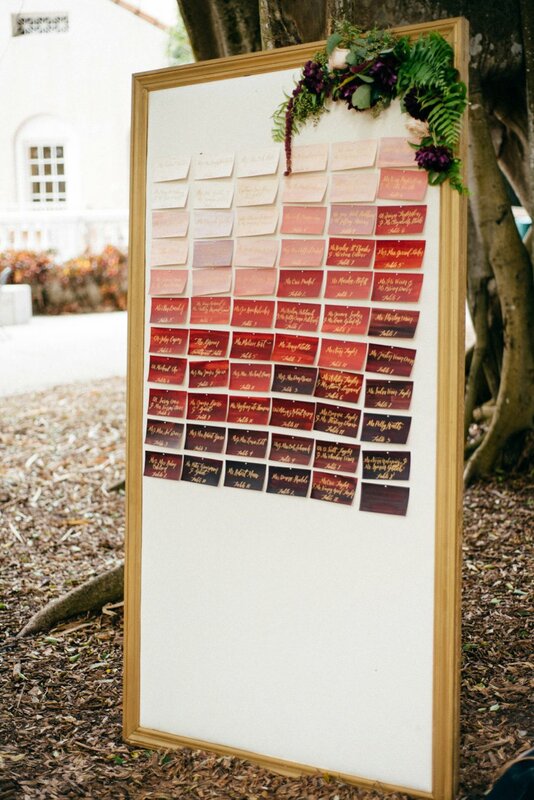 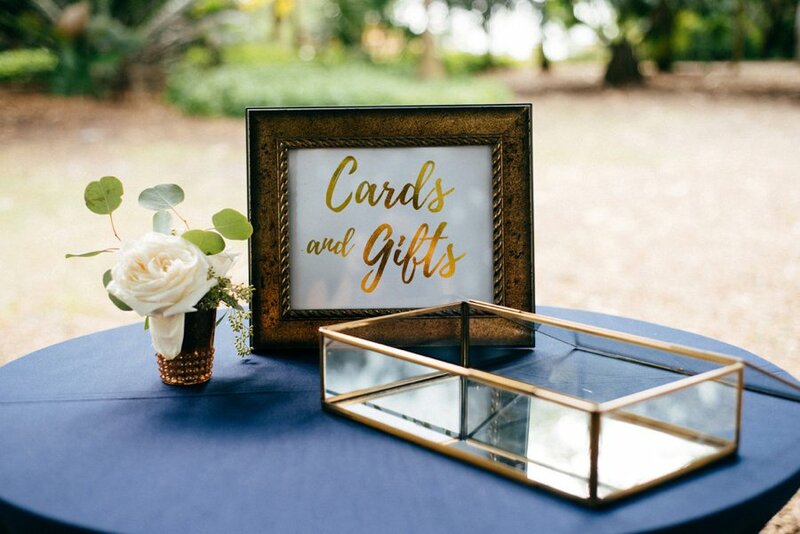 From hotel gift bags to programs and their ketubah, subtle hints to Nayda and Alex’s multi-state adventure could be found all throughout the day. 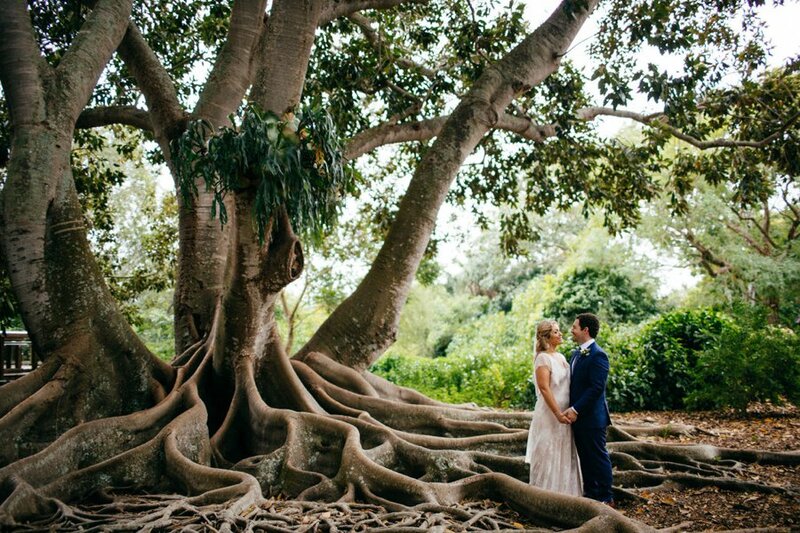 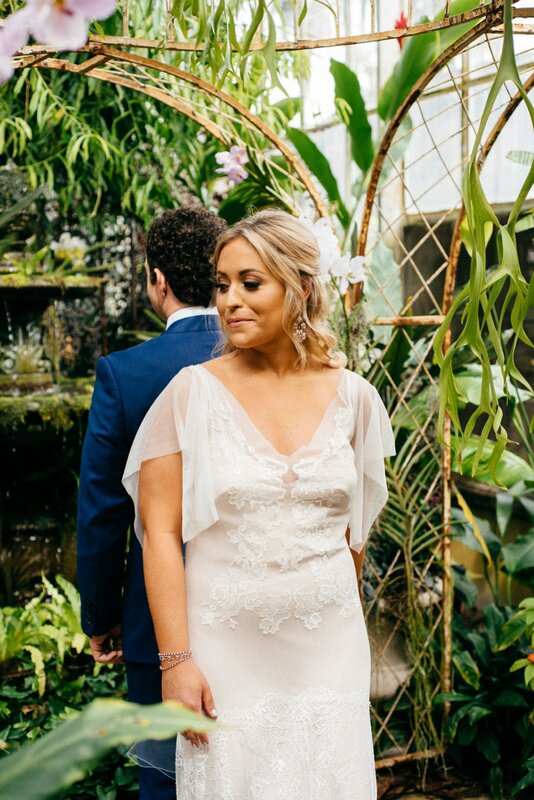 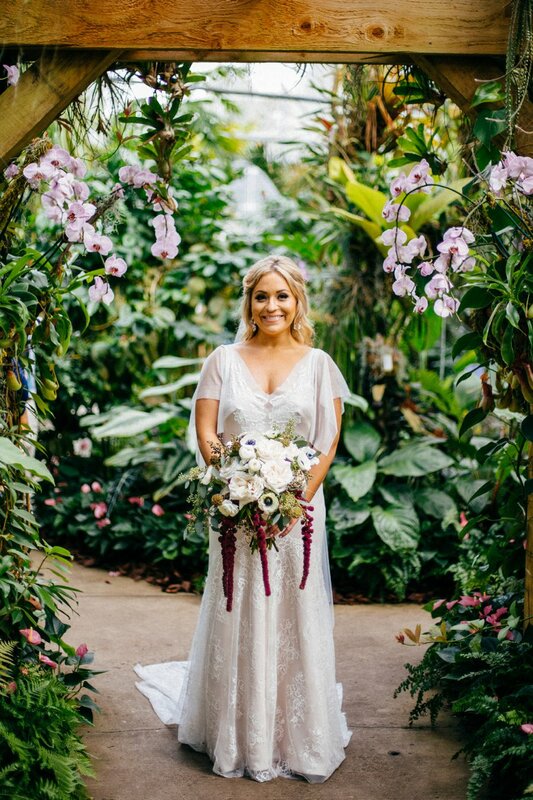 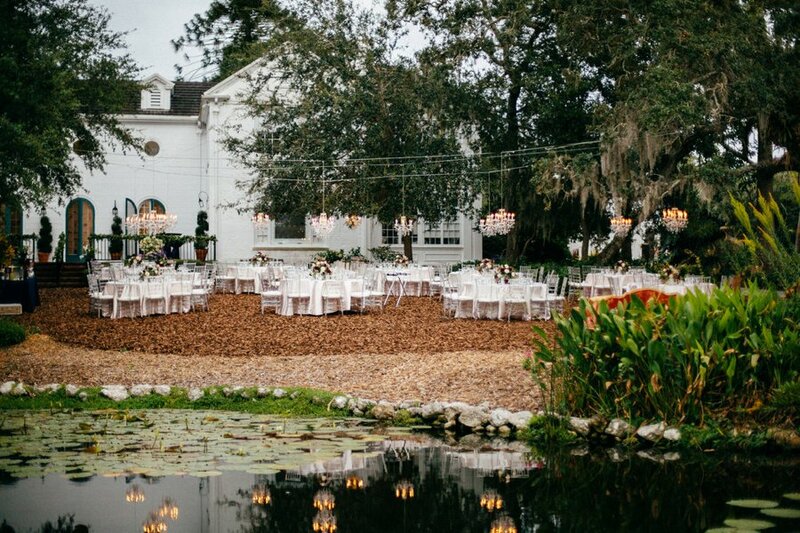 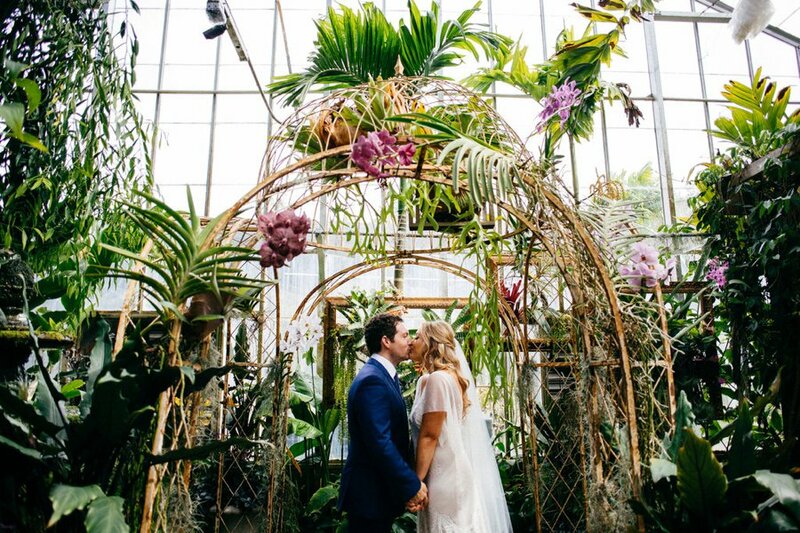 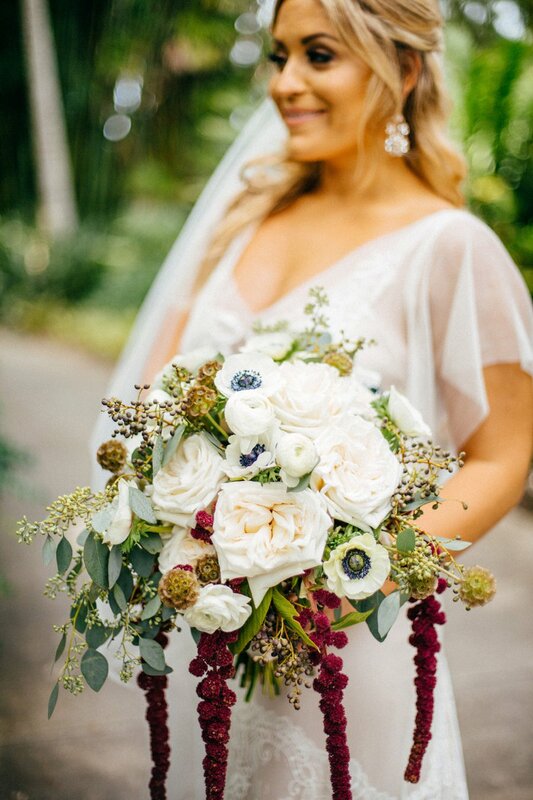 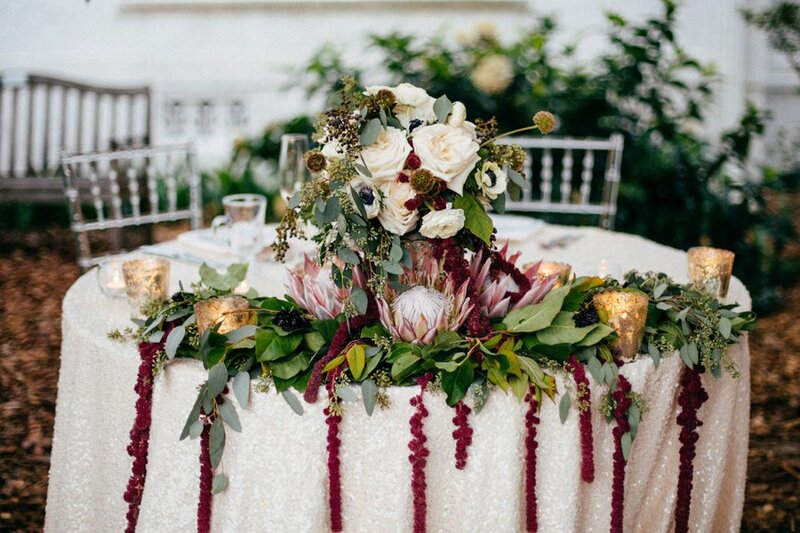 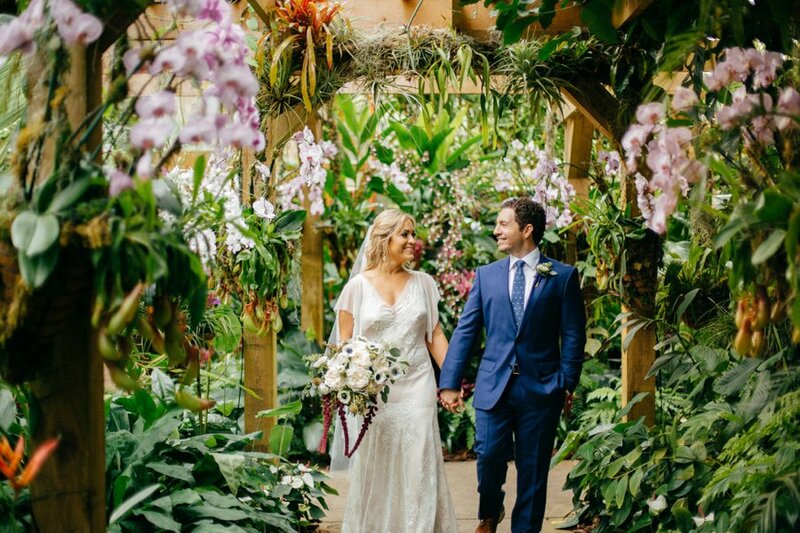 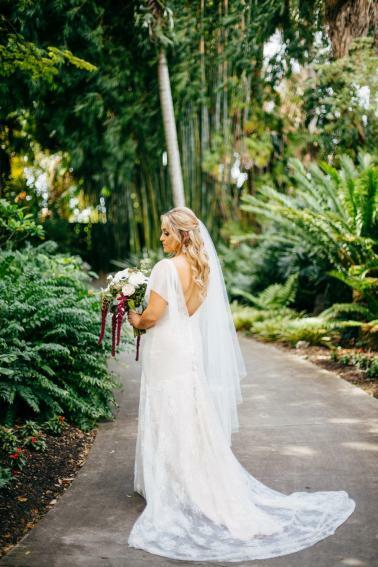 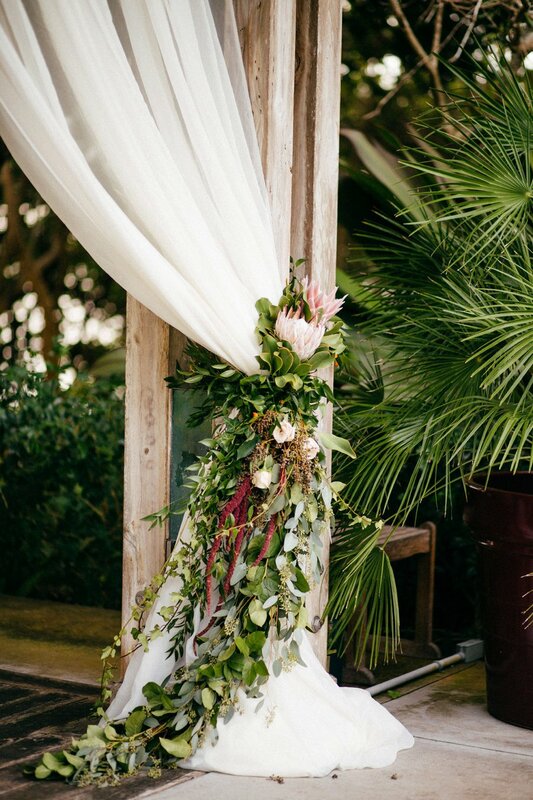 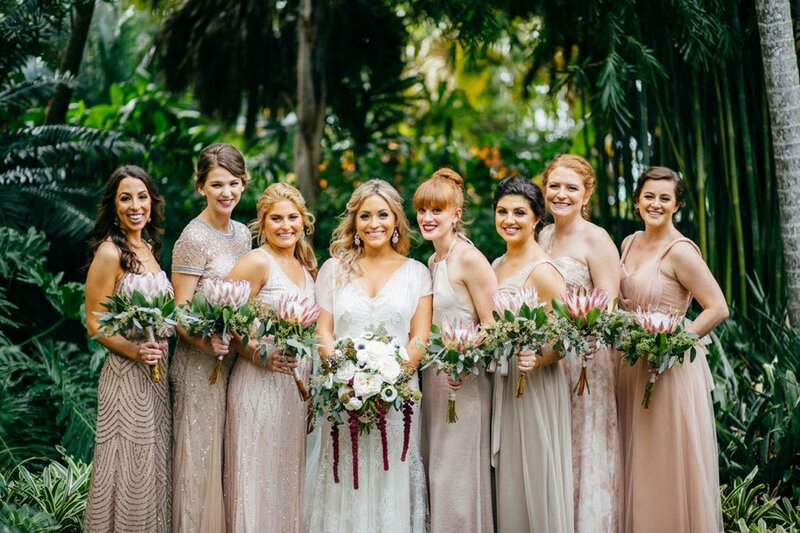 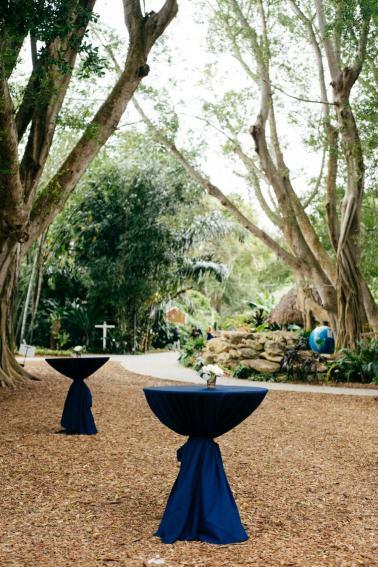 Using an “ethereal” style as design inspiration, this couple found ways to incorporate the natural elements of the gorgeous waterfront botanical garden of Selby Gardens in with a romantic and whimsical style. 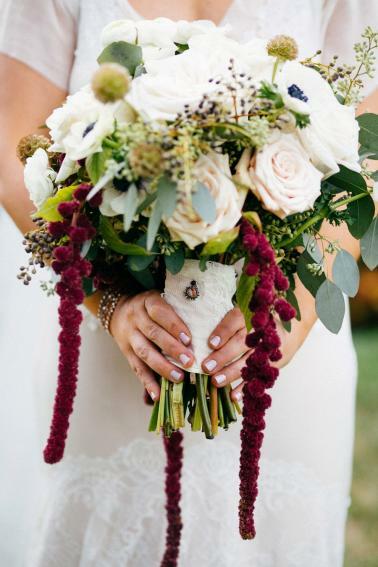 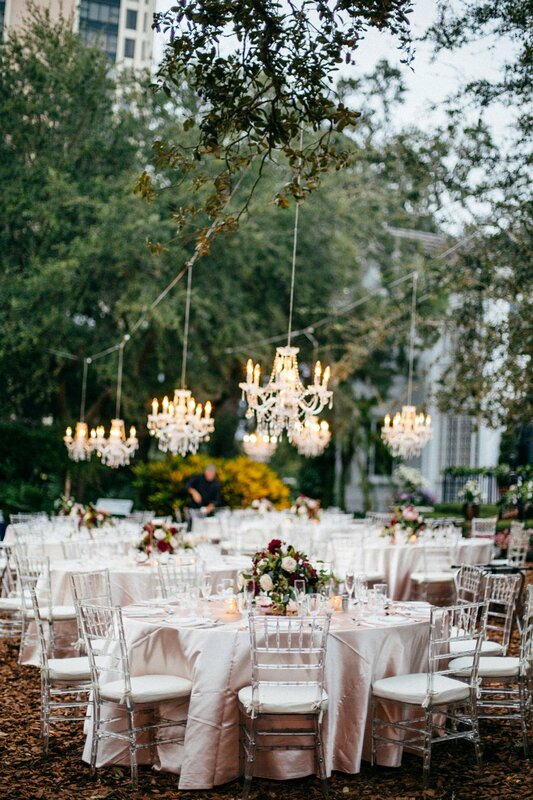 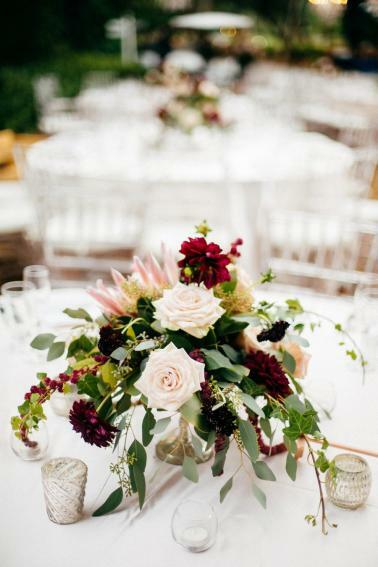 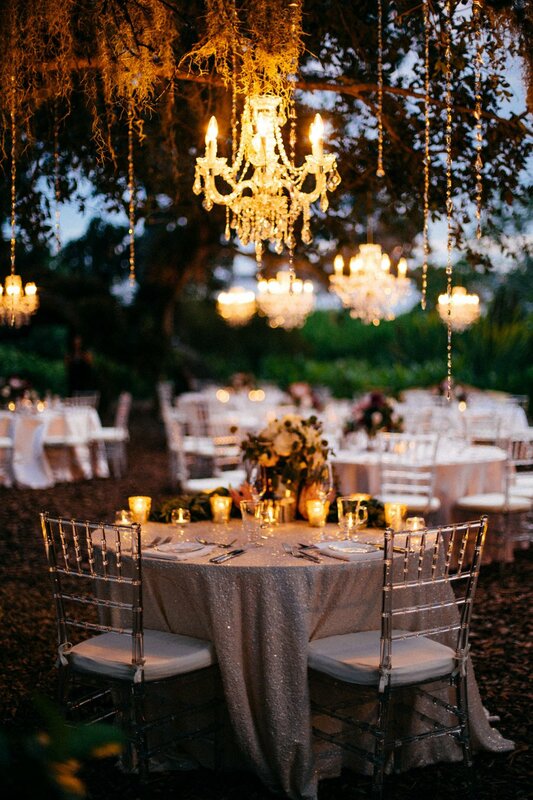 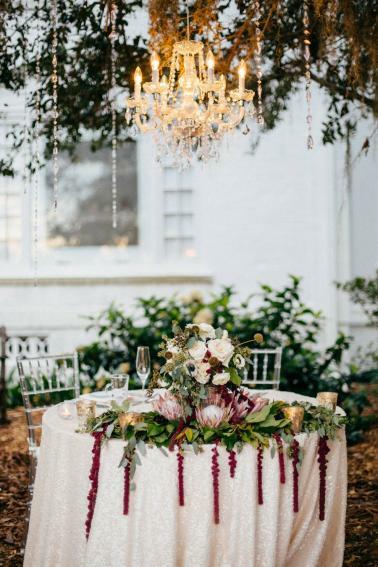 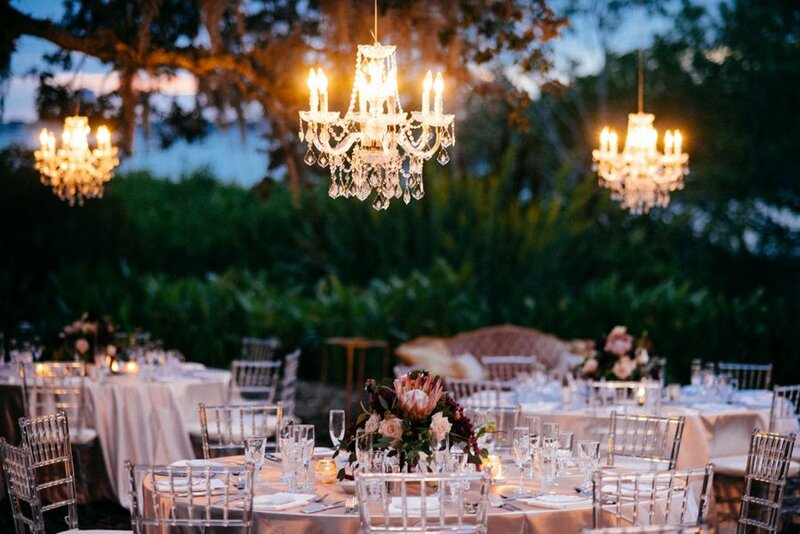 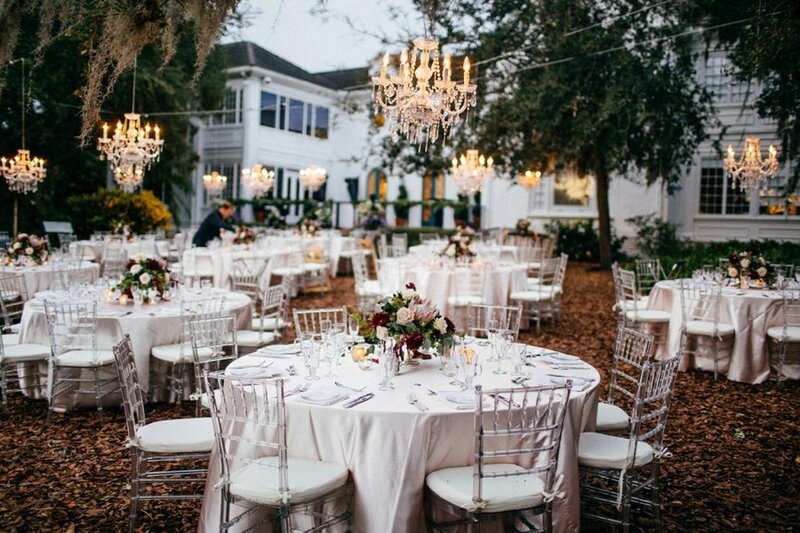 Chandeliers hanging overhead, and crystals dripping from trees successfully achieved this feeling, made complete with rich pops of color and texture in the florals created by Elegant Designs . 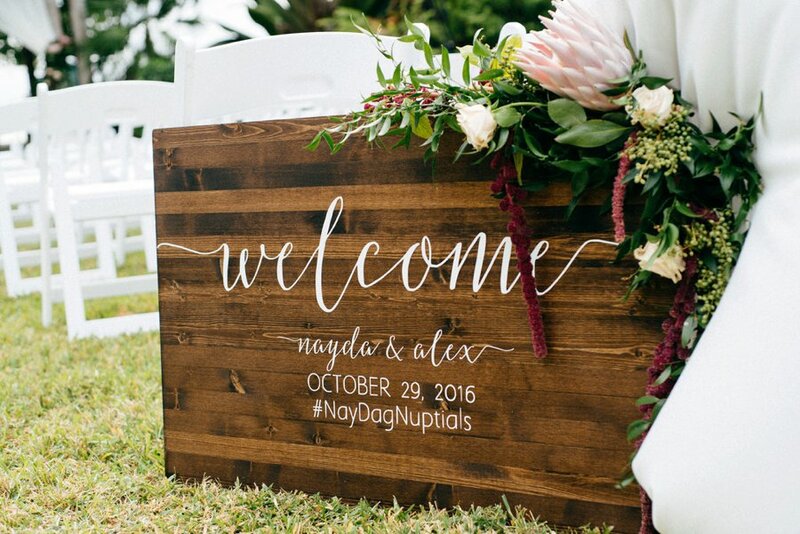 Every detail made for the perfect reception for guests to enjoy as they celebrated Nayda and Alex, and NK Productions did a beautiful job pulling all of the details together. 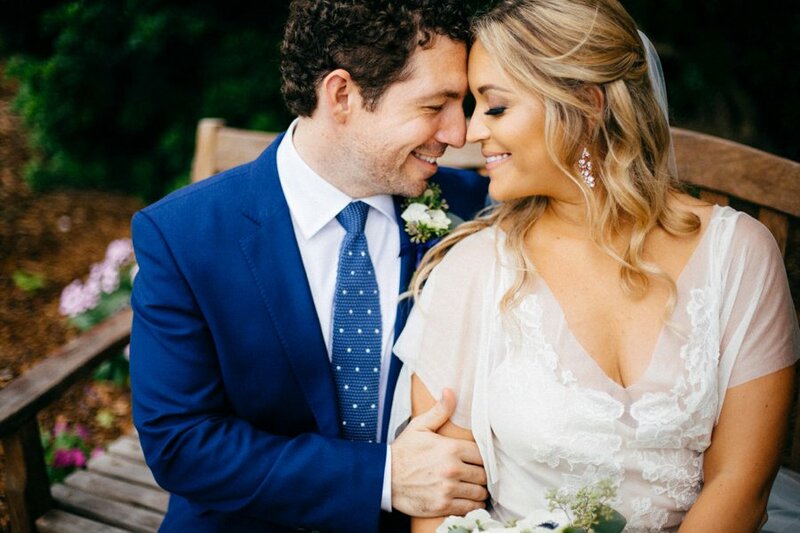 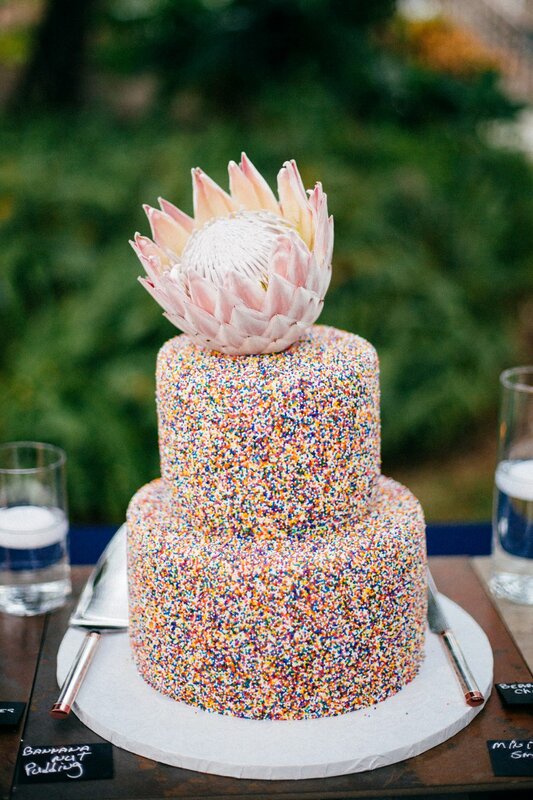 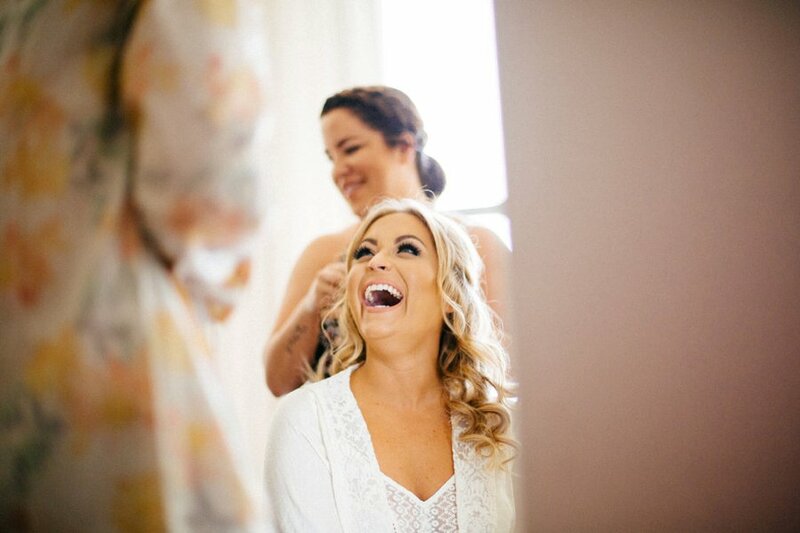 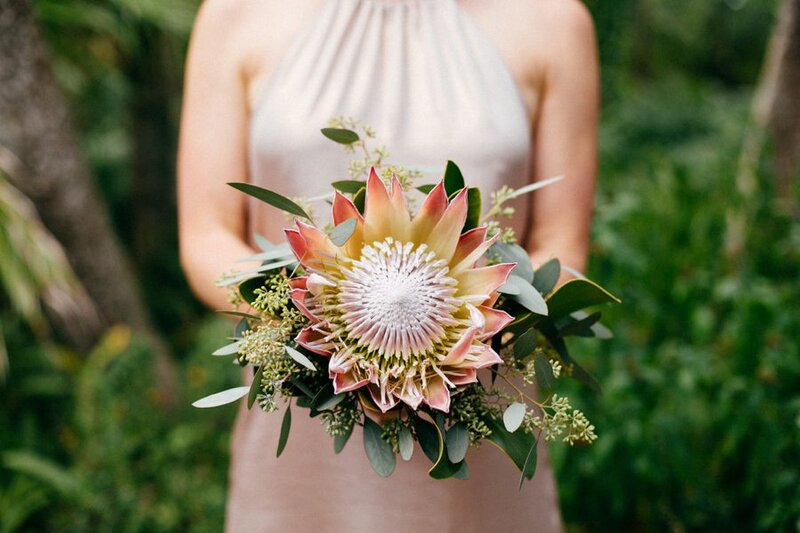 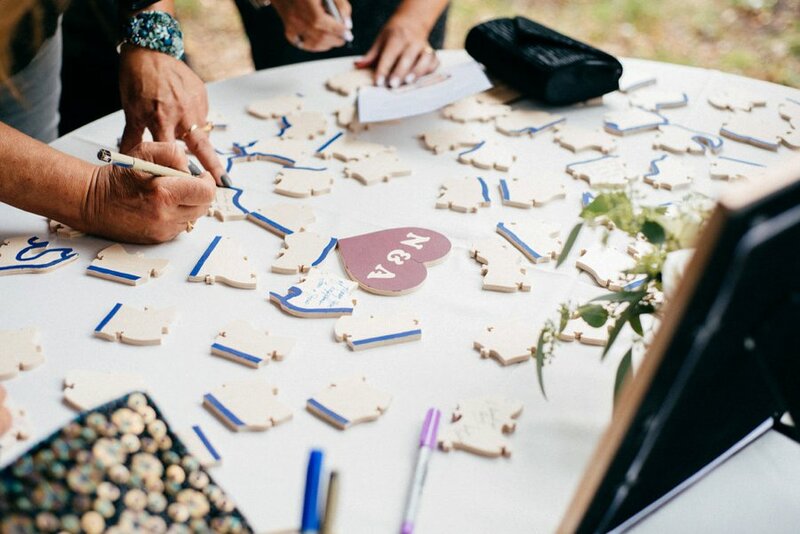 With a style that adds organic touches and hints of whimsy, we love how their photographer, Tiffani Jones, captured the moments and details from this beautiful wedding day! 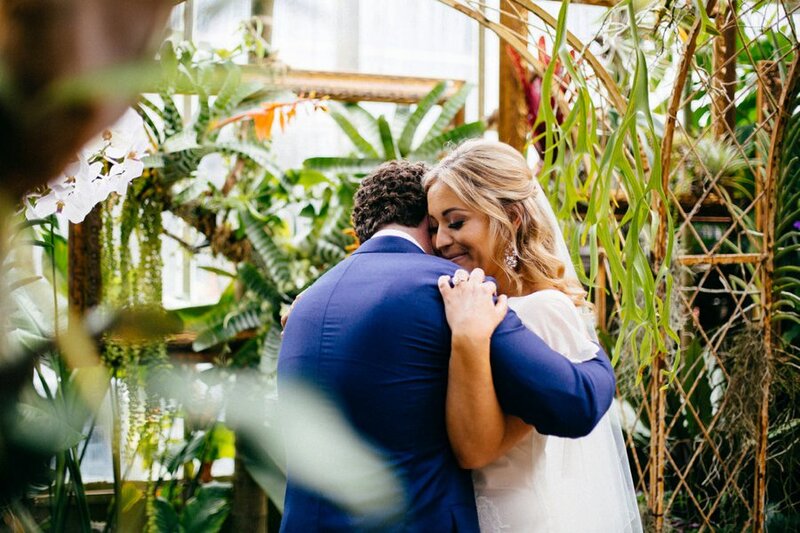 We’re excited to share some final words from the bride regarding a special element that they chose for their wedding day. 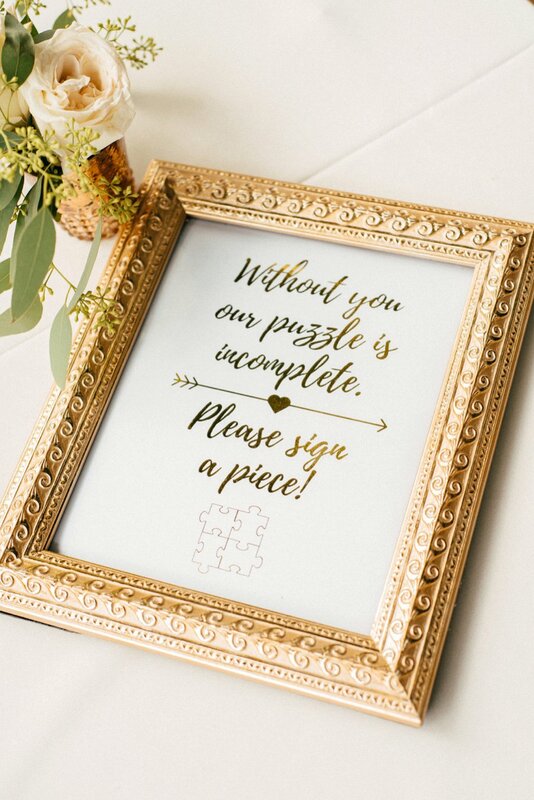 We adore this. 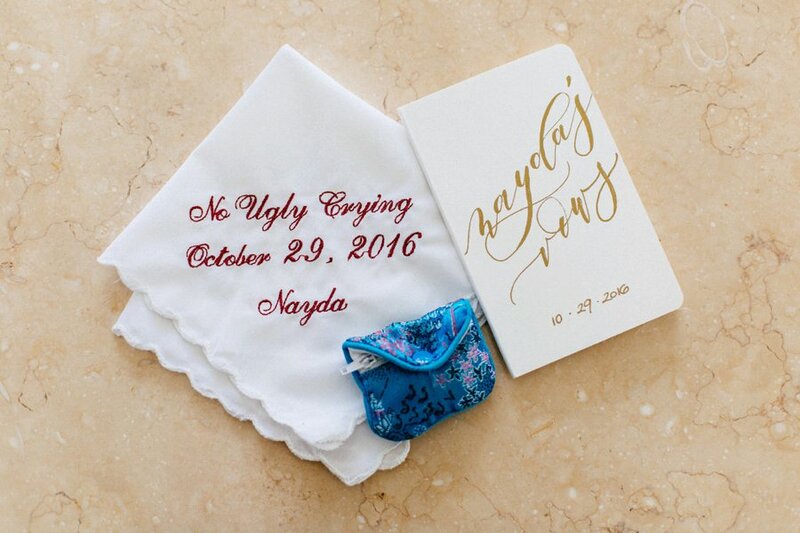 We are always a fan of special details, and personalized vows surely do bring some extra tears to our eyes on wedding days, but we love hearing Nayda give her take on this process. 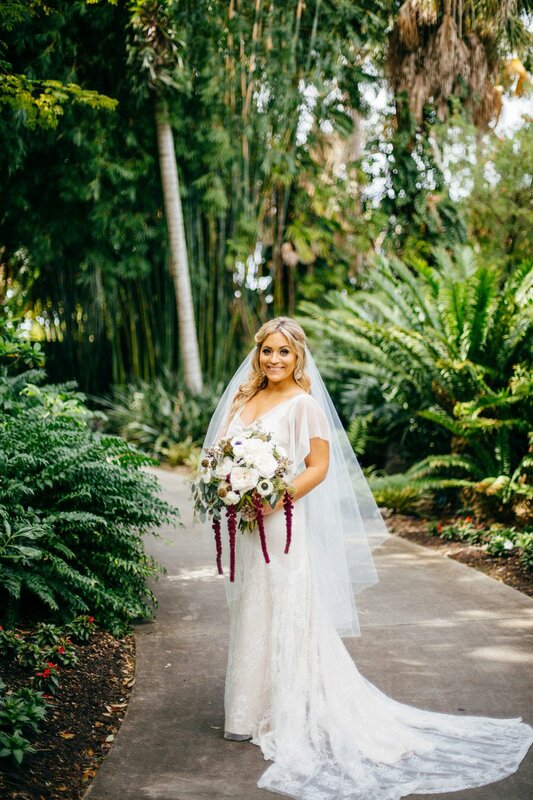 Definitely something she’ll cherish for a lifetime.